It’s been called the “greatest crisis on the African continent“. The UN’s World Food Programme in mid-June warned that hundreds of thousands of Nigerians could starve to death in the famine-threatened northeast due to lack of aid funds to feed them. It needs $172 million to help. Now the militants of Boko-Haram are slowly being pushed back by Nigeria’s army, the full extent of the humanitarian need is becoming visible. The north-eastern states of Adamawa, Borno and Yobe are the most affected, with over 5 million facing “acute food insecurity” and needing food aid. More than half are children. Women and older people are also very vulnerable. 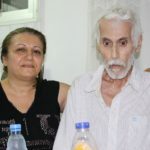 In the meantime churches do what they can to bring food to the most vulnerable – in particular Christians denied access to essential aid by government systems geared to cater for Muslim majorities. The humanitarian disaster is man-made, with most of the conflict caused by Boko Haram’s Islamist militants, fighting since 2009 to establish a caliphate. By the end of 2016, nearly 2 million Nigerians were internally displaced (IDPs). Approximately 200,000 fled to neighbouring countries (Niger, Cameroon, Chad) and are now returning. The disaster in Nigeria has been eight years in the making. 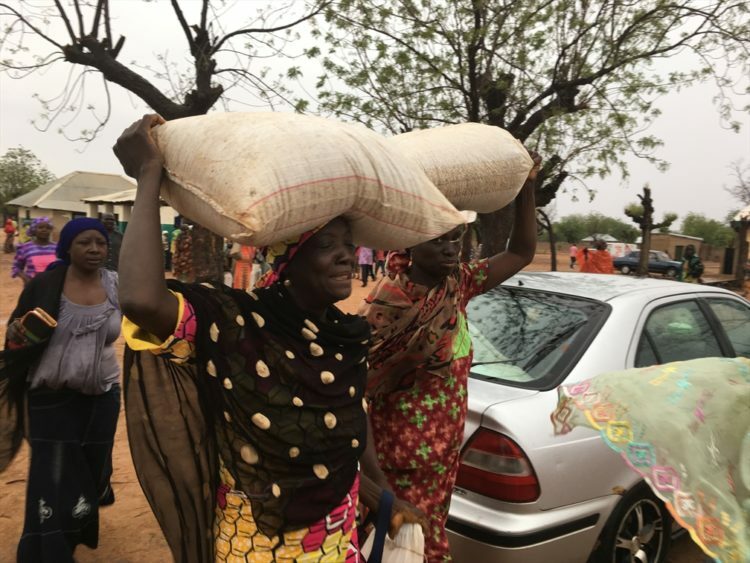 “We witnessed the hunger increase in informal camps, and in host communities, as food became scarcer and scarcer and people remained unable to farm”, says Osagie, team leader for the Christian relief agency Open Doors, which has recently carried out several distributions of food. Initially people were able to help one another, but slowly they ran out of resources too. 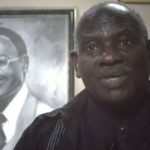 Christians from northern Nigeria, mostly grain farmers, are a resilient bunch, says Osagie, and so “if you start seeing them moving to places like Abuja, Lagos and Jos, knocking on doors, asking to do work like cleaning the house or the yard just to earn a little money so they can buy food, you know that things are desperate”. The churches that are reaching out to people, providing them with basic necessities, are over-stretched and Open Doors provided them with food and cash to help 15,000 families (an estimated 75,000 individuals) in the worst-affected areas. The people most in need of help were being identified with the help of the local church. An aid pack for one family consists of 50kg of beans, 100kg of maize and a cash amount. “Beans and maize are the staples in this area, and the money can help them cover costs unique to each of them, like oil, soap and house rent. This relief aid will last each family a minimum of two months and will help them get through the lean season,” says Osagie. Osagie points out that in the affected areas, Christians face a lot of discrimination in daily life but also in the provision of relief aid. 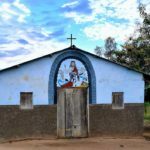 Even before Boko Haram started its insurgency, Christians across the 12 Sharia-governed states of northern Nigeria say they felt neglected or, worse, antagonised by local society because of their faith. In July 2016, reports surfaced of IDPs facing discrimination because of their religious background and World Watch Monitor spoke with several people who confirmed this. 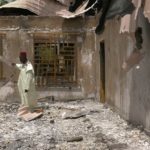 The Bishop of Maiduguri, Oliver Dashe Doeme, told media in March that most donations from the West do not go directly to the victims, as the government insists that it goes through their agencies, and from there it can end up in the wrong hands. 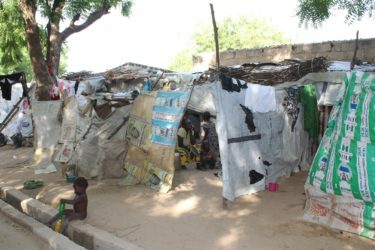 The crisis is fuelled by the federal government’s strategy to close several IDP camps and force people to return to villages to take up their lives (and economic activities) again. It is becoming increasingly difficult to provide food for all the displaced, while closing camps also creates the impression that peace has been restored. But as long as the insecurity continues, people are reluctant to take up farming again. In fact, most have not been able to farm for the past three years. Nigeria is now entering the lean season, where there is no harvesting and families have used up all of their food reserves. Meanwhile neighbouring Cameroon has started to send thousands of Nigerian refugees back home, against their will. 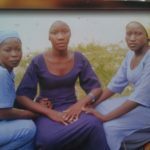 They can’t return to their homes and communities because Boko Haram is still attacking villagers, stealing food, burning properties and kidnapping girls and women. Those who decide to return not only face insecurity but also a lack of food and clean water: 75 per cent of water and sanitation infrastructure in conflict-affected areas has been damaged or destroyed. Baroness Cox added that southern churches send occasional consignments of aid, but that a tribal rather than national outlook often prevails, resulting in a “disconnect at every level” between Christians in the north and those in the south.